Radiosity. Widely dealt with by [Foley]. Random. Random is basically the encounter of two independent realities. Random is introducec in digital devices mos generally as random numbers. The most independent process happen at the nuclear level, and the CERN provides modules who give a succession of "true" randiom numbers. Sensors also provide random numbers from the exernal world, but generally at a rate too slow for most programs. The clock of a processor is also a source of randaom but possibly not totally independent from programmed procedures that are themselves periodic with short periods. Several firms provide Geiger random generators. Surf on your favorite browser for an up to date list. Finally, programming make mostly use of pseudo-random generating algorithms, based mainly on multiplications such as regularities are observed only after a high number of cycles. Frequenty, these algoritms will be combined with the clock or another external factors. < Algorithmic Randomness and Complexity. by Downehy and Hirschveld. Springer 2010. < Art, algorithmes, autonomie, programmer l'imprévisible. by Pierre Berger. Communication at Afig 2009. - In interaction programming, see [Thimbleby]. - About Steve Reich [Ross] p. 665. < Introduction aux processus aléatoires. by S. Karlin. Dunod 1969. - Ranking may be considered foreign to art and its call to infinite transcendence. But, in practice, we constantly rank the artists and their works, be it to direct our attention or to select among potential acquisitions for our collections (be they canvasses or MP3 files on our playlist). In diccan, we have begun, very roughly, to rank artists according to fame. See our - [Gonzalez]. A major aspect of browsers. Could be used in algorithmic evaluation of works. - The most important ranking is the page ranking system of Google. - Dealt with by [Foley]. - Reconfigurable cave. Virtual reality environment. - Global specular illumination model (photo-realist). Dealt with at length by [Foley], [Ebert]. Ray casting explanation on the Techpubs website. Rayleigh. A kind of scattering [Ebert] p. 530-539. - Berys Gaut, 17 pages in A philosophy of cinematic art (Cambridge university press, 2010). See also [Deleuze]. 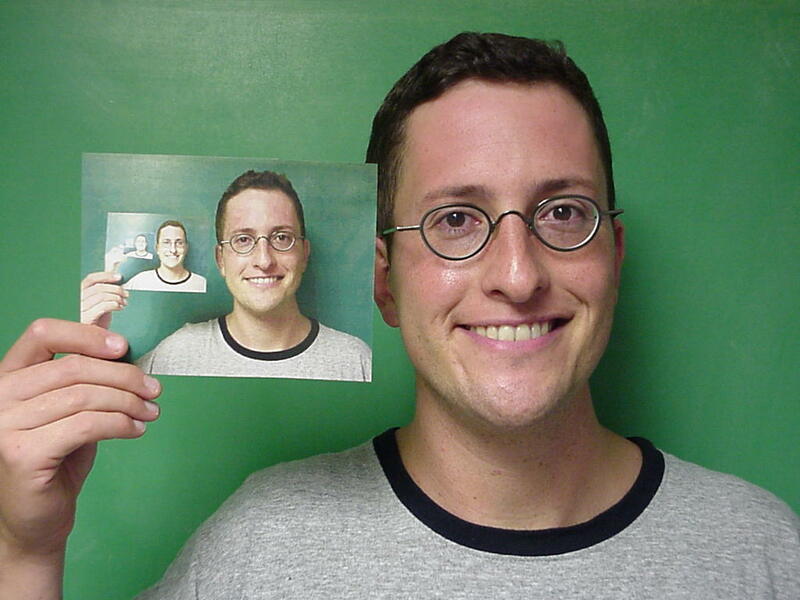 - Complexity is vital for realism of synthetic images [Ebert]. - Video games: realism calls for responsibility SH No 24 (concepts). < Le réalisme dans l'image informatique. Etude des années 1980 et 1990, by Ondine Bréaud. L'Harmattan 2001. - Augmented reality. Wikipedia. Alternate reality Wikipedia. - Diminished reality (for fun?). Real-time. More (in French). Wikipedia. - A pragmatic definition related to video: it is real time if an image is computed within the time allowed by the FPS (typically: 1/24th of a second). < Structured Development for real time Systems. par S. Mellor et P. Ward. Yourdon Press. Prentice Hall 1986. 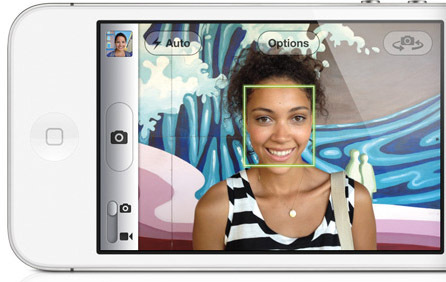 Recognition of smiles on a camera, in order to trigger at the right time. - See perception, vision, form . - Given a set of classes (or types), recognition of a pattern is to assign it one of the classes. A basic method to do that is to consider that each class is defined by a set of quantitative "features" (characteristics), and to compute the minimal (euclidean) distance in this "features space". - [Foley], [Gonzalez]. < Artificial Neural Networks in Pattern Recognition by Nadia Mana, Friedhelm Schwenker and Edmondo Trentin. Volume 7477. Lecture notes on computer science, Springer 2012. < Body gesture recognition and action response, by Luc Emering and Bruno Herbelin, a chapter in [Magnenat]. < Graph based representations in pattern recognition. 4th IAPR Proceedings, Springer 2003. AH No 122. - Reconnaissance des formes et analyse de scènes, by Murat Kunt et al. Presses polytechniques et universitaires romandes, 2000. - ICPR 2006 AH No 67 (manifestations). - Interview of Marc Richetin AH No 01. < Méthodes structurelles pour la reconnaissance des formes. by L. Miclet. Eyrolles 1984. < Signal Processing, Image Processing and Pattern Recognition by Tai-hoon Kim, Hojjat Adeli, Carlos Ramos, Byeong-Ho Kang. CCIS Volume 260. Springer c. 2012. < Progress in Pattern Recognition, Image Analysis, Computer Vision, and Applications by César San Martin, Sang-Woon Kim. LNCS volume 7042. Springer c. 2012. < Image Analysis and Recognition by Mohamed Kamel, Aurélio Campilho. LNCS Volume 6753. Springer c. 2012. < Image Analysis and Recognition by Mohamed Kamel, Aurélio Campilho. Springer LNCS Volume 6754. Springer c. 2012. < Image Analysis and Recognition by Mohamed Kamel, Aurélio Campilho.LNCS Volume 6754. Springer c. 2012. < Body gesture recognition and action response, a chapter by Luc Emering et Bruno Herbelin, in [Magnenat]. Reconstruction. See vision. [Foley], [Gonzalez]. Record, recording. "As the activity of recording has widened in scope from a primarily technnical matter to a conceptual and artistic one as well, it has assumed a central role in areas such as instrumental arrangement and the scupting and placement of audio samples ". ([Moorefield] p.XIII). - Records may be seen as a type of media in transmedia. Rectangle. [Java], [Processing], [Flash], [Photoshop]. Recursion, illustrated on the bit.gtu website. Recursion, recursive, recursivity. See special notice. Reductionnism. According to this line of thoughtn, human beings, and human thought, can be reduced to digital systems. < La télévision dans le miroir. Théorie, histoire et analyse des émissions réflexives, by Virgine Spies. L'Harmattan 2004. SH No 24. Region. A connex part of an image (see for example the book by Cocquerez and Philipp, Analyse d'images, filtrage et segmentation (Masson 1995); by contrast, a class is not necessarily connex. - Dealt with at large by [Cocquerez], [Gonzalez]. Regularization. [Bres] p. 102: "To get a stable measurement of a derivative in a digital image, it is often necessayr to begin with a filtration. We call that a regularization". - Relationship is an important aspect of "living art" [Aziosmanoff]. See Terminology. < Esthétique relationnelle. by Nicolas Bourriaud. Les presses du réel, 1998. - See an experience about remanence with water drops lighted with stereoscopy by LEDs. Remix. See more in French. - Mash-up is a form of remix opened to the public on Internet, notably with the Construction Set by Jay-Z. ([Moorefield] p.108). The Forum des Images ( Paris) has dealt with this topic in a festival, on June 2011. - We can compare remix to collage in painting, and even to copy-pasting in writing. Rendering. A very substantial article in Wikipedia. > Physically Based Rendering, From Theory To Implementation. by Matt Pharr and Greg Humphreys. Morgan Kaufman Second edition 2010. - Programming: [Foley], [Java], [Processing], and a lot in [Ebert]. - In architecture, an article on Archée . Renderman. A shading language and software, by Pixar. [Ebert]. - A key issue for art: repetition is forbidden. How to reconcile that with programming, basically iterative and repetitive? See: recursion, redundancy. - Music, about Break on Through (The Doors, BT Remix). - More in French, Varia. - In interaction design see [Janet Murray]. - The word hides ambiguity: the image of something is a representation, and a congress member is a representation... Is it the same thing? This issue being at the core of his search, Harold Cohen, in his 1979 paper What is an image? , invents the term "stand-for-ness". < La reproduction des documents. Scom. 1979. Technical. - Useful or destructive for art? See more on French version. - Recherche d'information par le contenu visuel. Special issue of RSTI. Technique et science informatique. 9/2003.Edited by Nozha Boujemaa and Frédéric Jurie. Hermès/Lavoisier 2004. - Interaction homme-machine et recherche d'information. Hermès/Lavoisier ed. 2003.
. Image and video retrieval second international conference CIVR 2003. Proceedings, Springer 2003 AH No 122. Resilience. As for digital arts, resilience is what lets a service (e.g. images distribution) to warrant service continuity. It uses redundant hardware architectures and ad hoc operating software. See for example the structures set in Baltic countries (Sonovision Broadcast, publi-information, janvier 2011). See Wikipedia. Resolution. The density of an image, in pixels per surface unit, or total number of pixels, or in vision angle. - Dealt at length by [Brinkmann], [Foley], [Gonzalez], [Photoshop]. 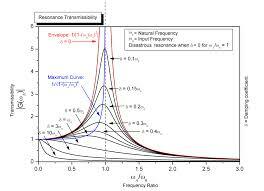 The resonance curve, according to wikipedia. Resonance. A work of art must stir "an unpublished resonance". See special diccan's note. RFID. Radio-frequency identification. Uses in art? A basic technology for Objects Internet of the things. - Example of pseudo-code for format conversion in Foley. - Visualisation of the RGB cube Processing. - See [Foley], [Gonzalez], [Processing],[Roxame], [Photoshop]. Rhetoric. It was an important facet of education in Anitiquity. Could partially be programmed. - The term cyber-rhetorics is proposed by Stéphane Caro in his mémoire de HDR about digital document writing. - Procedural rhetorics, see a web page by Matt King. Rhizome. A concept by Deleuze and the post-moderns. - Rhizome and Internet, see The transitioner website. See also proper nouns. Rich media. Combination of multimédia technologies. < Arts et mutations. Les nouvelles relations esthétiques. Several authors, introduced by Marc Jimenez. Klincksieck 2004. See the article Impressionnisme technologique, le concept de robographe, by Frédéric Drouillon and Francis Rousseaux. Robosculpture. A canadian term: use of robots in sculpting, be it for design and making, or to get automated moves in a cinetic work. See Dictionnaire des arts médiatiques. 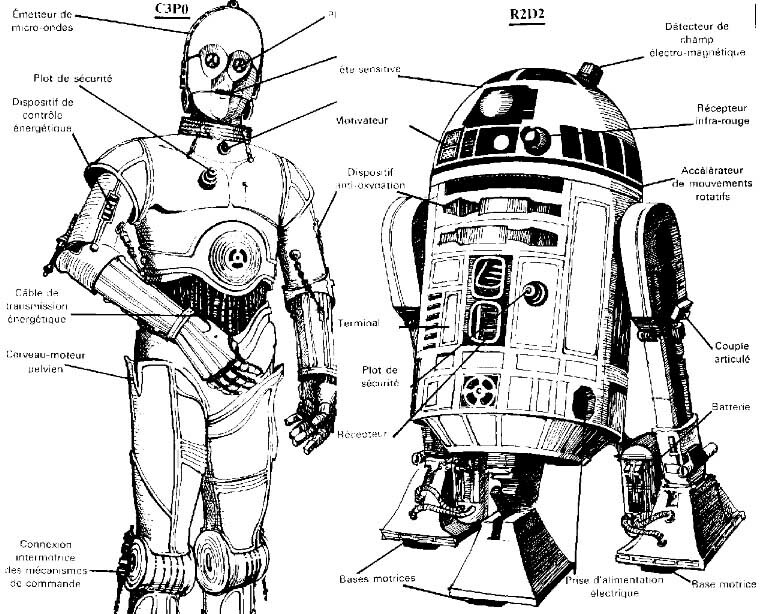 R2DE and 6PO, the two friendly robots of Starwars. Unfortunately, their part has remained very limited, in opposition of what the first presented episode had led to hope. Robot, roboticist, robotics. See special note. Robust, robustness. [Bres] quotes this feature several times. - "It was the end of stable metrics since, as often said the composer, regular rhythms are lifeless." [Ross] p.488 (our translation). < Rhythm science. by Paul D. Miller (aka DJ Spooky that Subliminal Kid). MIT Press 2004.